Like us on Facebook! To comment on today's match, please visit the comments page. Visit the artwork portal to view posters and support banners for this year's Exhibition competitors. Other types and categories of artwork may be available in the future. 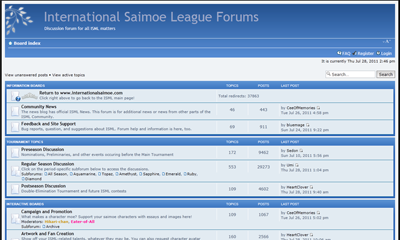 Contests are hosted every Period on the Forum; anyone may participate.